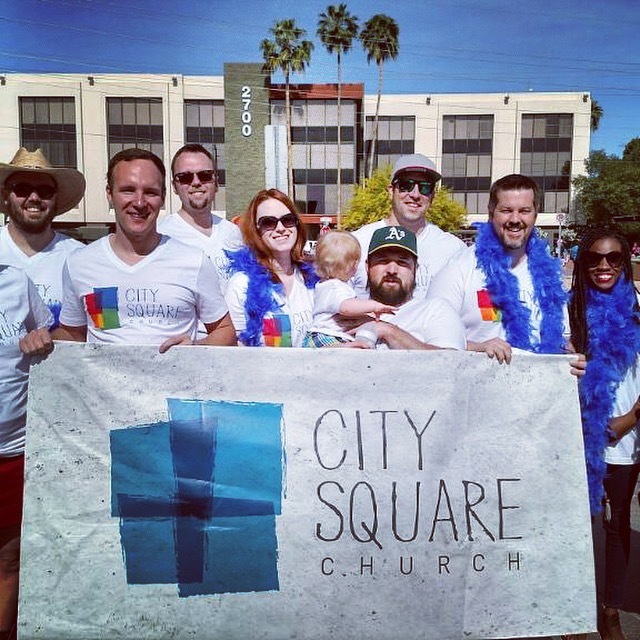 As proud members of the Arizona family, we at City Square Church celebrate the thousands of families whose love and commitment have gained legal recognition in the place they call home. As proud members of the United Methodist family, we grieve our denomination’s continued failure to recognize all who are called into covenant relationship by God. As proud members of the City Square movement we remain committed to our call, acknowledge the sacred worth of all people regardless of gender or sexual orientation, race or ethnicity, political ideology or mental/physical ability. We believe that by strengthening the bonds of love and grace within our communities we live more fully into Christ’s call to create God’s kingdom on earth. That is why our pastors, Rev. Rob Rynders and Rev. Brian Kemp-Schlemmer are prepared to serve any couple seeking to enter into the covenant of marriage. May we celebrate together as we seek to connect people to God and each other for the transformation of our lives, our communities, and our world.